​I want to test drive Body N Soul Yoga for two weeks. I want to experience the trans-formative powers of yoga. I understand that I will be charged $5 on my credit card for the 2 week trial. Please note your 2 week trial starts on the day of purchase. 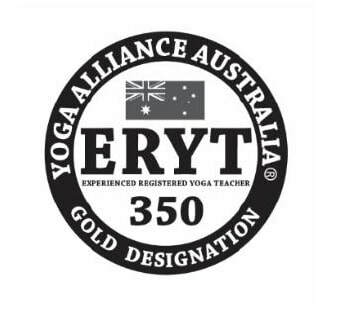 At the end of the first two weeks, the short term membership I have agreed to purchase will be charged to my credit card and will continue to be charged weekly for the duration of the contract unless I give prior notice by email before the end of my two week trial to bodynsoulyoga@bigpond.com that I do not wish to continue practising with the studio. If I don't give notice to cancel the trial I may cancel my ongoing commitment at the end of the agreed period with at least 2 weeks written notice by email to bodynsoulyoga@bigpond.com, prior to it's end date. As the short term memberships are a special deal to new yogi's, I understand that at it's end date, I might then choose to purchase a different pass. I understand that each pass has it's own terms and conditions, on top of the above mentioned. I understand that all of the passes can only be used by the person who has created the account. I understand that these terms and conditions will be strictly adhered to, except in extreme circumstances eg. illness, injury, which will be considered by management. Please consider the terms and conditions and your commitments before choosing your short term membership. It only takes 21 days to create a habit. I'm ready and super excited to commit to myself. Great value with classes in the morning and evening, there are plenty of classes to choose from. With this pass and a growing practice of 2 or 3 times per week, you'll save over $174 during your membership. This pass can be used for the special 2 hour feature classes held each month - an extra $70 value. This pass can't be used for the donation based classes - Restore More with Emilia, classes with Special Guest Teachers or workshops. This is the standard timetable, but it's always best to check the live timetable on the website, or in Punchpass. Body N Soul Yoga offers different styles of classes. All of our classes are open to all levels. Our teachers focus on making the class accessible yet challenging for all students. New students of yoga may choose a slower and gentler paced class to introduce themselves to the foundations of the practice in the beginners classes. We recommend trying different teachers and styles to find what works best for you. We kindly ask you take your shoes off before entering the studio, leave your cell phones and smart watches in the lockers provided AND on silent. The front door is always locked during classes. If you need to take a call before or after class, please step outside of the studio. and is disrespectful to your teacher. but do your best for your fellow yogi's peace. Do I need to register ahead of time to attend a class? Class numbers can fluctuate dramatically. So registering for the class helps your instructor know how to have the room set up. Registering for the class, will also ensure that you are aware of the current timetable and any unexpected changes. Classes will occasionally be cancelled due to a lack people registered. Feature classes and workshops must be booked and paid for in advance. It is best to practice yoga on an empty stomach, being upside down after a big meal is not ideal. Wear comfortable clothing which does not restrict movement, which includes baggy tshirts. Practice is done barefoot. Mats are available to hire - $2, which helps to replace them regularly. All other props are provided for use in the studio. Bring water or have a drink from the water filter in the foyer. Should I buy a mat? When you get addicted to your practice, you will want to use a good quality mat. · Make sure your mat is padded enough – mats come 4mm, 6mm & 8mm thick. · Exercise Mats and Yoga Mats are NOT the same thing. · Keep it light and small for easy transport. · Don't be afraid to spend a few extra dollars – it will be better value in the end. · Choose a fun mat – bright colours or patterns, it’s your new favourite place to be after all!